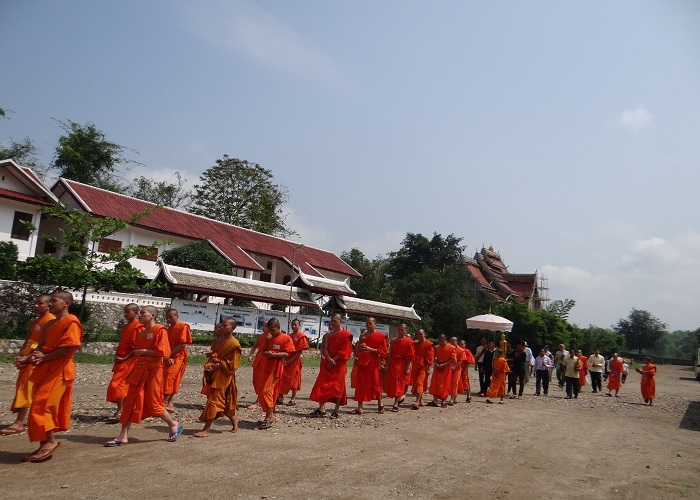 North of Luang Prabang town near the banks of the Mekong the Sangha’s Buddhist Academy site occupies 9 hectares of former rice fields and forest. 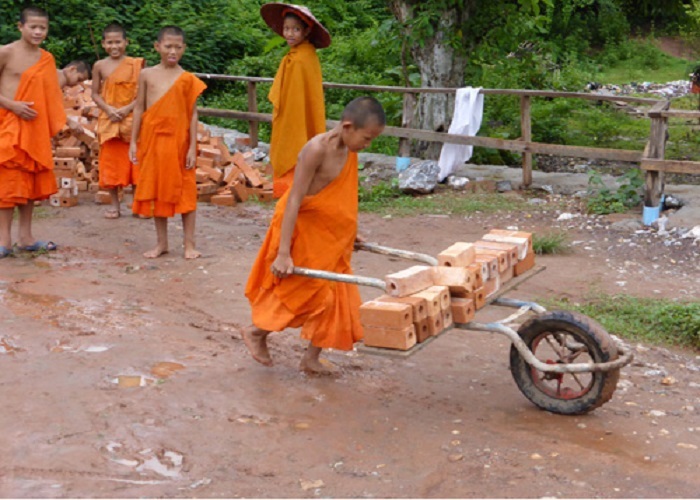 Already home to a large population of secondary school students, the Sangha’s ambitious plans for the Academy reach in the future to the founding of a Tertiary Education facility. 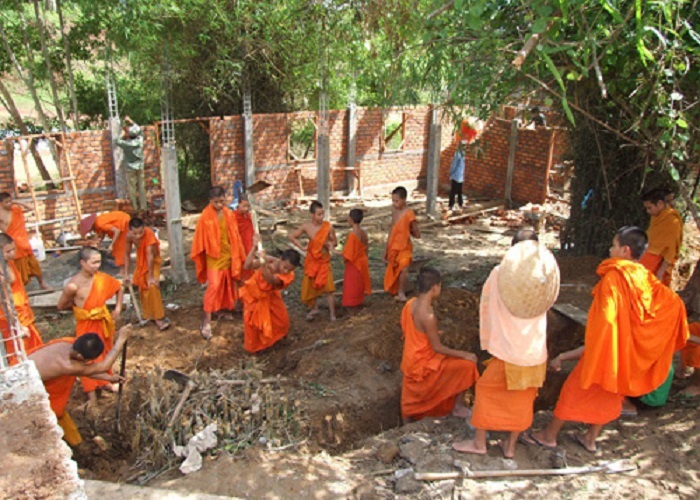 Much of the construction of the Academy buildings, supported by the Buddhist Heritage Project, has been carried out by the monks and novices with support from the local community. Major support for work at the Academy has been provided by the London based Badur Foundation and private donors both local and international. This large multi-functional structure, built over several years, is the central building at the Buddhist Academy site. 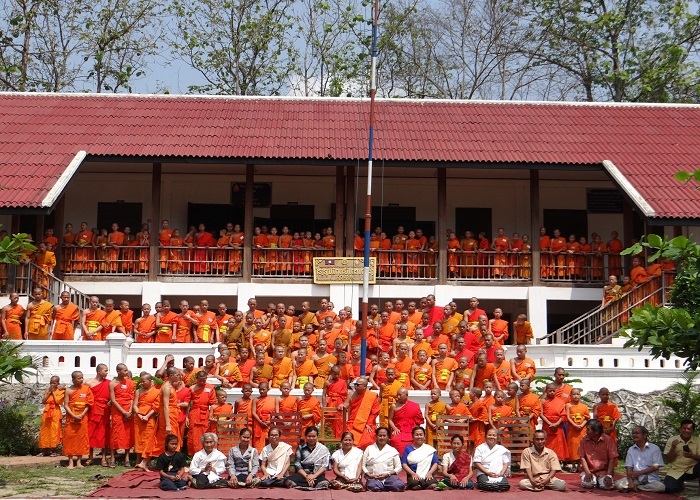 It serves as the Sim, Ordination Hall, meting hall and as a dormitory for several hundred young novices studying at the Secondary School for whom there are not yet formal accommodations. 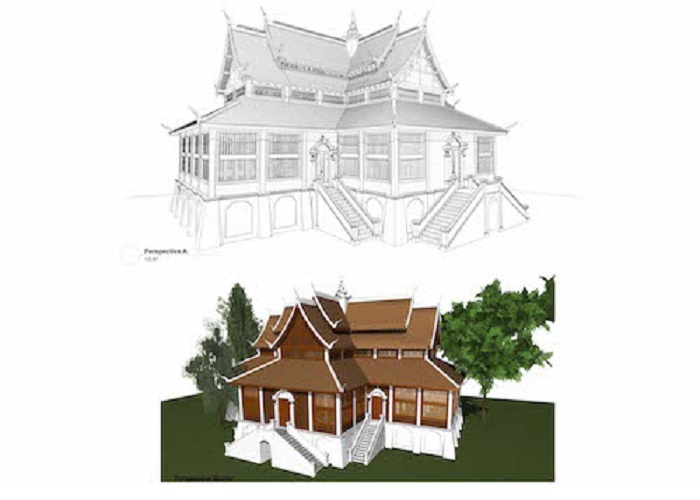 The Buddhist Academy site Master Plan, prepared by Architect Pascal Trahan. Architect Pascal Trahan's rendition of the planned Reserch Library building at the academy. 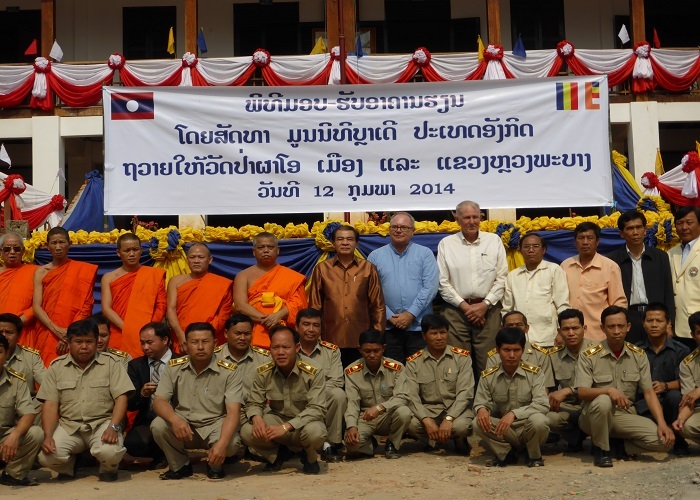 The Library will serve as an Archive and repository for important documents and manuscripts, and as an international reserch centre for Buddhist Scholars. A local Luang Prabang artist has painted this watercolour impression of the planned huge Meditation Walkway at the Academy. On the Master Plan the Walkway may be seen at the centre left of the Plan. 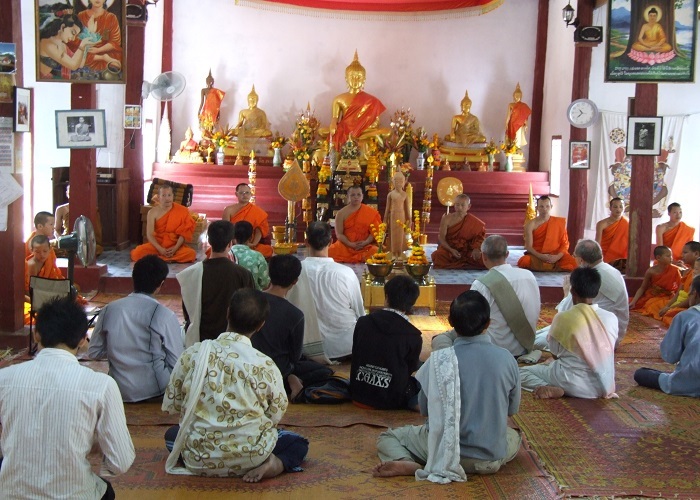 In the Ordination Hall at the Academy hundreds of young boys and girls prepare for their ordination as novices during an annual Vipassana Meditation retreat. Their numbers reflect the broad community interest and support. 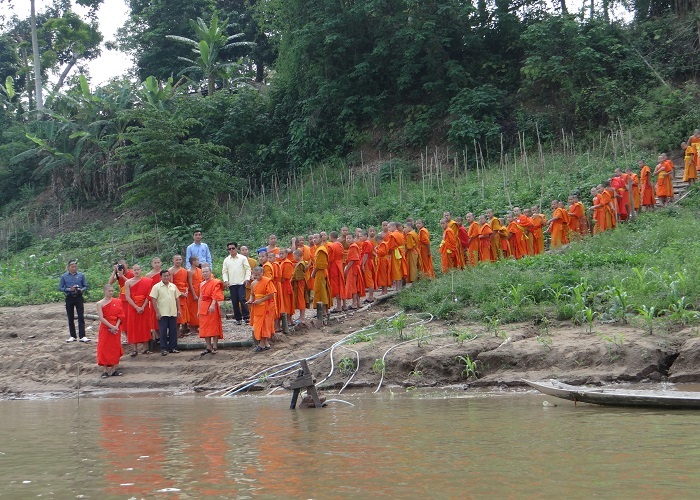 The Vipassana Meditation retreats at the Academy occur during the wet season. Monks and novies ive in makeshift tents and shelters in the forset during the ten days of the retreat. 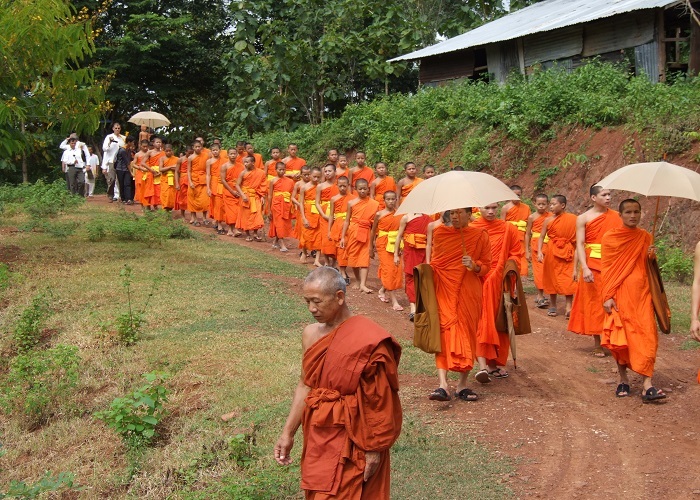 During the Retreat the novices practice Walking Meditation, a central and important element of the unique form of Vipassana Meditation found in Luang Prabang Buddhist teachings. 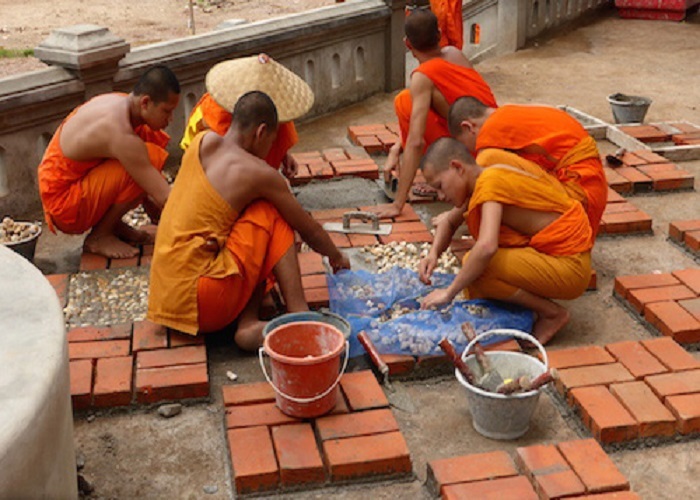 Novices at the Academy have versatile skills, and many of them are capable at working with construction elements, They have collectively Performed much of the labour in building the 3 new Classroom buildings, and here they lay bricks and macadam on an entry walkway. 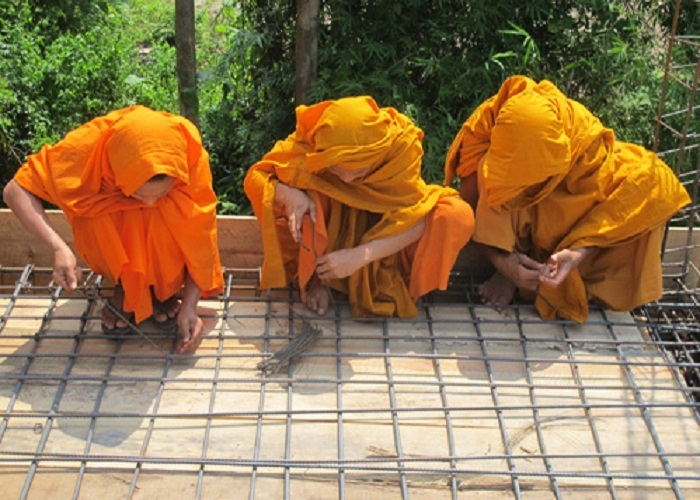 Sheltering from the sun under their robes, these novices prepare steel reinforcement bars for the concrete floor structure in one of the new school buildings at the Academy. The novices digging holes for the foundations and footings of one of the new school buildings, in preparation for erection the verical support columns. During the formal dedication ceremony of the second Classroom building at the Academy, the novice students were each given a copy of Hans Berger's acclaimed school book on traditional Ceremonies and Rituals. Here a group of novices and their leaders post in front of the Classrooms with their books. © 2018 Buddhist Heritage Project. All Rights Reserved.